Many people have become worried about the common skin condition – Heat Rash. It may not be a concern to many people yet but it should make us all worried about it since it can become worse that you feel uncomfortable with it in your skin and it can be sometimes very painful. 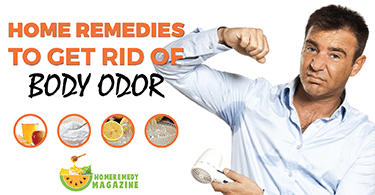 When encountering problems like these, the following simple home remedies should be just the one you are looking for. Heat rash is a condition in the skin where sweat cannot escape due to blocked pores. It happens very often to children, especially when doing something weary and the skin should sweat for a cool and relaxing feeling in your skin. Heat rash is usually caused by hot or warm environment or frequent contact made to your skin which usually happens when people, adults or children, rub their skin together intentionally or unintentionally. This rash usually occurs, but not limited to, in the neck, armpits, thighs, and elbows. Frequent contact causes friction on the skin which can irritate the skin and cause blockage of pores resulting to rash. The symptoms of heat rash are the same as those of normal rashes, and they are the appearance observable in the skin which can be small dots or pimple-like bumps, and an itchy skin. This is actually not that serious that needs medical attention but for a prolonged time of rash appearances, like 10-14 days, it can be very serious and needs immediate medical advice. Heat rash may become vital and dangerous but there are ways to prevent this from happening in the first place or prevent it from getting worse and get a glowing skin. 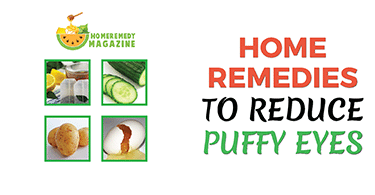 The following home remedies might be able to help a lot to people experiencing such rash nowadays. Doing this adds smoothness to the skin and decreases direct contact of anything to the skin during bath times. This is effective against irritated skin and helps prevent the rash from getting worse or even from developing. Neem leaves, or margosa leaves, have antibacterial attributes that help heal infectious bacteria from rashes. The gel would greatly help relief itchiness and pain from the rashes. It also speeds up the healing of the rash since it has a cooling effect which prevents it from getting much worse. Since rash is caused by warm environment or frequent contact to the skin which causes friction, rubbing cloth with the cold compress is one simple alternative for cooling your rash and prevent it from serious infections and illness. You can also use cold water as a remedy for puffy eyes. Just like any other paste, this one has a smooth texture that does not irritate the skin so much which helps the rash to heal and cool off your skin. It is advised that taking a cold bath after applying the paste to the rash is necessary. With some water from the freezer, quickly relieve pain and itchiness with cold compress using ice cubes. This helps to put away irritations for quite some time. Heat rash is not only treated on the outside but cooling your whole body, including the inside, greatly helps ease itchiness of rash and heals up quicker. Honey has various important healing benefits which make it great to have it stored all the time, and it also helps to heal the rash relieving from itchiness quickly. Cucumbers help a lot when it comes to cooling the body and thus effective on healing the rash. Cucumbers can also be eaten to cool up the body or make a drink with it for refreshment. It also helps to get rid of acne scars. Either hot or cold, mint tea always helps lessen body temperature and it would rush healing of heat rash. It would effectively relieve the rash prevent it from other infections. Tight clothes prevent the skin from breathing properly and blocking pores that are responsible for cooling it down. As much as possible, clothes should be quite loose and soft that it does not irritate the skin. Thick lotions or creams could block the pores on the skin and would irritate the skin causing more complications and making the rash worse. Even ointments and perfumes that can irritate skin should be prevented. Heat rash usually occurs in warm environments and would be much worse if the rash is always subjected to heat. Staying in cool places effectively prevents the rash from getting worse. When taking a bath, a lot of things can come in contact with the skin and would irritate the skin. Using soaps that do not irritate the skin would greatly help to heal the rash and prevent it from coming back. Heat rash may become much worse during sleep. Choosing a sleeping area that is cool and fabrics that do not irritate the skin would greatly help from the rash and would help heal the rash better. In conclusion, heat rash may not be that serious and not so dangerous as long as the skin is not so much easily irritated and the pores are able to breathe and able to cool off your skin anytime it needs to. 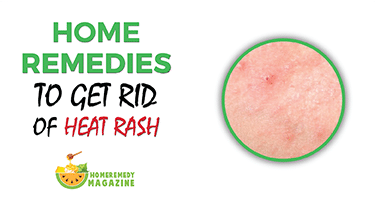 Keeping in mind these simple and easy home remedies of heat rash would greatly pay off and would prevent anyone from having serious problems from the rash. It may sound very safe but when rash lasts more than a week, it become very serious and medical attention is advised and needed for a better treatment and more preventive measures. Always watch out for signs and length of times since heat rash is so common and it can happen to anyone.